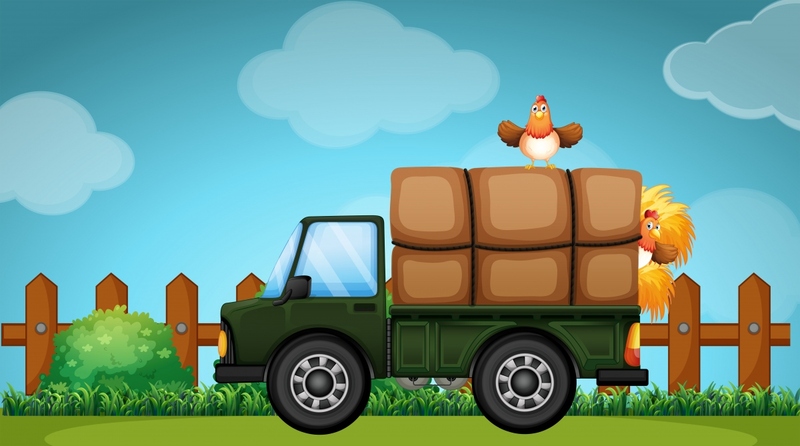 The rules about farm trucks differ depending on the state. For example, farm truck insurance required by North Carolina law must be obtained by the owner, but it’s not required at all in Virginia. Yet, if you seriously think about it, you have to get farm truck insurance regardless of whether or not your state law requires it. It just makes sense to have one. You don’t really want to risk being uninsured when your truck gets involved in any road accident. The cost of your insurance depends on numerous factors. It depends on which provider you obtain your insurance plan, and it also depends on what kind of coverage you get. For the residents of states that require farm truck insurance, the main coverage involves liability. This is how much your insurance will pay out in damages if you’re held liable for the accident that involves your farm truck. Each state has mandated minimum levels of liability coverage. If you get the minimum coverage, your insurance plan will then cover up to $30,000 for each injured person and a total of $60,000 for all injured people for which you’re liable. It also covers up to $25,000 in property damage such as damage to other cars. These levels mean that if your liability exceeds $30,000 for one injured person, you’ll have to pay for the excess yourself. That can be financially disastrous for you, as medical bills can easily exceed $100,000 for serious injuries. You may end up losing your farm to pay the bills. Many people don’t feel that the minimum levels are enough, so they may obtain insurance plans with greater coverage. That may come with higher monthly premiums, but the higher coverage limits reduce the financial risk for the farm truck owner. The cost of the farm truck insurance will also depend on additional types of coverage you include with your insurance plan. Liability is merely a single type of coverage, and it doesn’t cover your other possible expenses. This covers your own expenses regarding the damage to your truck. Farm truck repairs can be expensive, and your insurance plan can cover much or even all of the costs. Collisions aren’t the only possible problems you may have with your farm truck. What if it’s been stolen and damaged by the thieves? Or what if there’s a tornado and it blows away your truck? The damage can be terrible and so will the expenses. You do need to make sure that you carefully check what kind of incidents and accidents that are covered by your comprehensive insurance plan. Some plans aren’t completely comprehensive and may have exceptions you’re not aware of. For example, after your farm truck has been washed away by strong floods, you may find that your comprehensive insurance plan doesn’t actually cover any type of flood damage. You have to check to make sure. Just because states like North Carolina requires liability insurance doesn’t mean that other people carry enough insurance to cover your truck repairs. What if another car owner is liable for the damage on your farm truck, and their insurance cannot cover the expenses to repair it? They may be too poor to afford to pay for the expenses themselves. That would leave you to pay for the expenses out of pocket. With this type of coverage, at least you’re covered even if the other liable person is not.